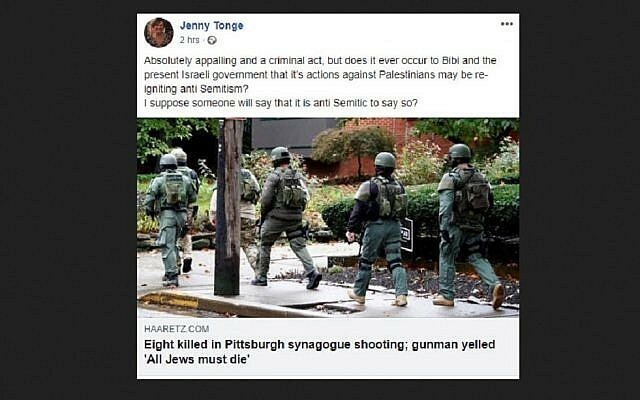 Former Lib Dem peer Baroness Jenny Tonge claimed Israel is to blame for a resurgence in anti-Jewish hatred in a social media post made just hours after Robert Bowers allegedly killed 11 people in Saturday’s Pittsburgh synagogue attack. The independent anti-Israel peer, who resigned from the Liberal Democrats in 2016, made her thoughts clear on Facebook. She wrote: “Absolutely appalling and a criminal act, but does it ever occur to Bibi and the present Israeli government that it’s actions against Palestinians may be reigniting antisemitism? Conservative Friends of Israel Parliamentary Chairman in the House of Lords, Rt. Hon. The Lord Pickles, and CFI Honorary President Lord Polak CBE immediately responded with condemnation of Baroness Tonge’s “callous inflammatory” response. The Jewish News reports they said: “We utterly condemn the shocking assertion by Baroness Tonge that the murder of Jews in Pittsburgh is the fault of the Israeli Government. This callous inflammatory posting, on social media, is in clear violation of the IHRA definition of Antisemitism adopted by the UK Government. For a Member of the House of Lords to publish such hateful thoughts brings Parliament into disrepute. “Saturday was International Freedom of Religion Day. There is no greater freedom than to be able to attend a place of worship openly and safely. The murderous attack on American Jews exercising that freedom shames not only the USA but the whole world. “The vile antisemitic attack at the Tree of Life Synagogue in Pittsburgh is a clear example of where intolerance and hatred lead if unchecked. Our thoughts are with all those affected by this heinous crime. Pittsburgh shows us that we must all stand together to combat Antisemitism wherever it appears”. This is not the first time Baroness Tongue has lashed out at the Jewish state. As Breitbart Jerusalem reported, she resigned from her party in 2016 after she was suspended for hosting a House of Lords meeting where guests heard that Jews were accountable for their own fate during the Holocaust. On that occasion she sat and listened silently when an audience member claimed Jews “antagonised Hitler” and that the Holocaust was caused by “Judea declaring war on Germany”. Another participant added: “If anybody is antisemitic, it’s Israelis themselves”. The meeting was organized by the Palestinian Return Centre, which live-streamed it on its Facebook page. The Israeli embassy in London said the gathering was a “shameful event which gave voice to racist tropes against Jews and Israelis alike”. 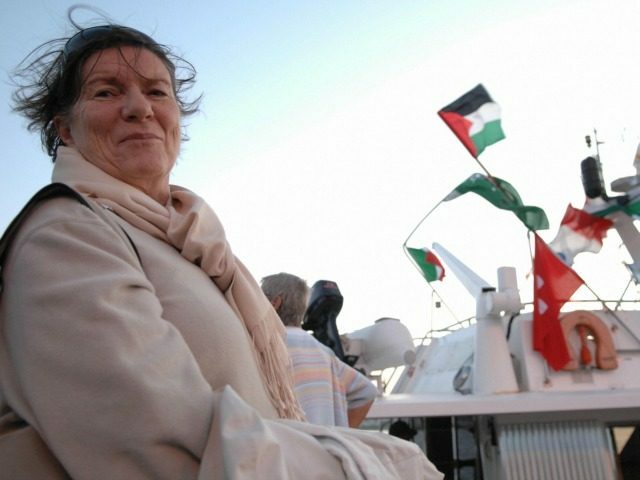 In 2010, Baroness Tonge was sacked as the Liberal Democrats’ health spokesperson in the House of Lords after demanding an investigation into allegations that IDF aid workers in Haiti were harvesting organs. More than 5,000 people have now signed a change.org petition demanding her expulsion from the chamber after her latest outburst.